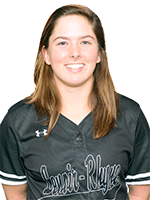 HICKORY – Carson-Newman snapped an eight-game win streak by Lenoir-Rhyne University on Saturday, dealing the Bears 10-4 and 6-5 losses in a South Atlantic Conference (SAC) doubleheader at Bears Field. The Eagles improved to 20-7 and evened their league record at 7-7, and the losses left LRU at 24-12 and 7-4 in the league. The Bears are still in first place in the SAC, a half-game in front of Queens, and their next games are Tuesday at 2 p.m., a doubleheader at third-place Newberry, S.C. The Eagles scored seven runs after the Bears had pulled within 3-2 on a double by Kylee Leonhardt in the bottom of the third inning. Carson-Newman scored three runs in the fourth and fifth innings to begin to pull away. LRU’s Talon LaClair hit a two-run home run just inside the foul pole for her third home run of the season. Outfielder Lacie Rinus batted leadoff for the Eagles and scored three runs. LaClair went 3-for-4 with two runs scored for the Bears. LRU went ahead 3-0 early when Kylee Leonhardt hit a solo home run to left field and Talon LaClair drove in a run by tripling off the fence in center field. Carson-Newman scored six runs in the final two at-bats. Ashlyn Cooper hit a three-run home run in the sixth inning for a 4-3 lead and the Eagles added two more runs in the seventh inning. In the bottom of the seventh inning, the Bears’ Savannah Moorefield led off with a single. She eventually scored on a hit by Leonhardt. Down 6-4, LRU had the bases full when Mackensi Swain singled to make it 6-5. Allison Rager retired the final two Bears to earn her 11th win of the season. 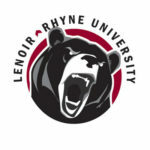 LaClair went 9-for-10 in a three-game stretch – two games against Queens and Saturday’s first game and then went 1-for-3 with two runs scored in the second game against the Eagles… Erin Boone drew six walks on Saturday and scored twice for LRU… The Bears made six errors on Saturday, leading to four unearned runs.